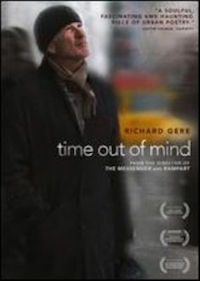 Evicted from his ex’s apartment, George (Gere) is out of options and finds himself sleeping rough in the New York winter. While trying to reconnect with his daughter, he struggles to navigate the bureaucracy assigning services to those in need. Moverman skilfully shows both how isolated the homeless can be in the modern city and the comfort offered by human kindness, while Gere excels as a deeply troubled yet often charming man striving to retain his dignity. “A haunting piece of urban poetry… confirms Moverman as a socially conscious filmmaker of rare conviction and authority” (Variety).